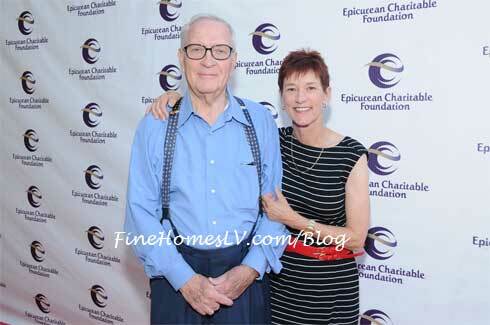 The Epicurean Charitable Foundation of Las Vegas’ (www.ecflv.org) 11th annual scholarship fundraiser, M.E.N.U.S. 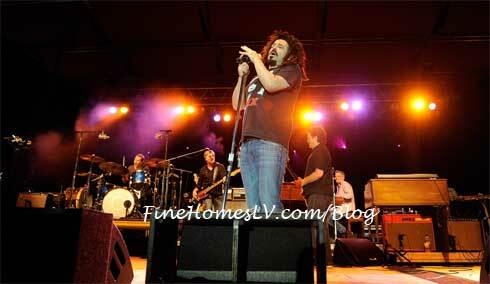 (Mentoring & Educating Nevada’s Upcoming Students), at the M Resort Spa & Casino’s upscale Villaggio Del Sole Pool and Entertainment Piazza, some of the city’s top restaurants participated in a “dine around” followed by a live private concert by Counting Crows on Friday night. Philanthropic leader, Jim E. Rogers, was named this year’s honoree during the event for his dedication to education and the Las Vegas community. 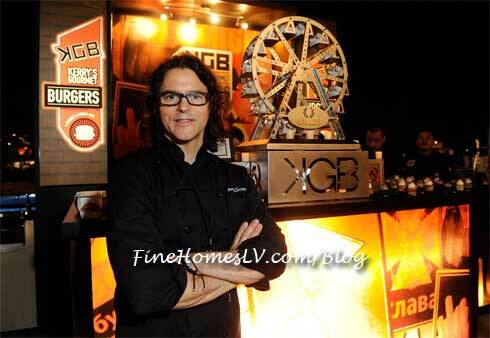 Celebrity chef Kerry Simon served up Dungeness crab BLT sliders and breakfast cereal cupcakes at his booth for KGB: Kerry’s Gourmet Burgers at Harrah’s Las Vegas, while Chef Saul Ortiz from Tacos & Tequila served up chilorio tacos, tres leches with passion fruit and watermelon cooler specialty cocktails. Barmasa at ARIA Resort & Casino, the contemporary Japanese eatery by Chef Masa Takayama, served assorted sashimi and salmon oshizushi. The lovely Chef Carla Pellegrino brought delicious penne alla vodka from Bratalian. The new Gordon Ramsay Steak serviced smoked beef tartare topped with Guinness-infused mustard with seeds and lemon zest. The popular downtown eatery Bar + Bistro at the Arts Factory, a Spanish tapas restaurant, Chef Beni Velazquez served Bristol Bay scallops. 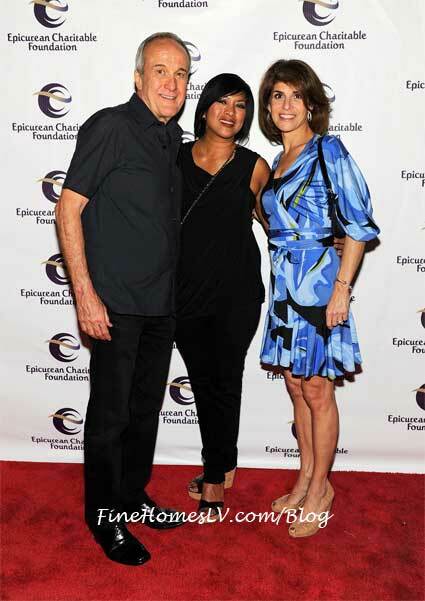 Sponsor and donor of ECF, Larry Ruvo, the Senior Managing Partner of Southern Wine & Spirits, also attended the annual event. Southern Wine & Spirits featured festive event cocktails including the M.E.N.U.S. Martini, The Hospitality and The Mentor Margarita among many others.